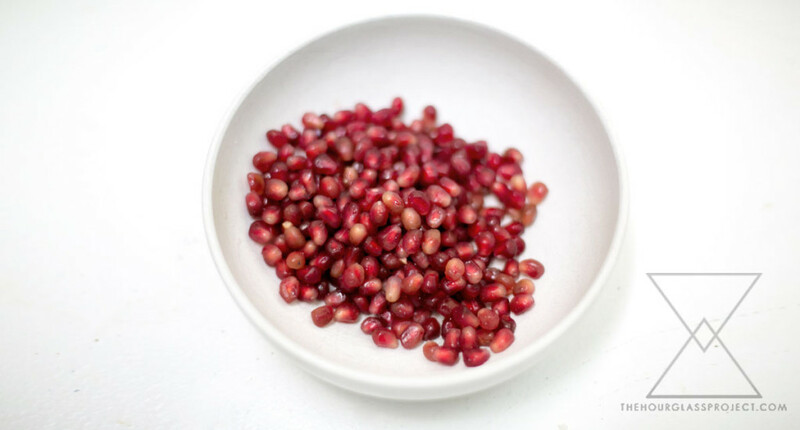 I was going through some pictures I took in the past few months and I had these images of the first whole pomegranate that I’ve ever eaten. I have to be honest, it made me a little sad to see the images of these amazingly delicious fruits, knowing full well that they are not in season and that I will have to wait until winter to enjoy them again. 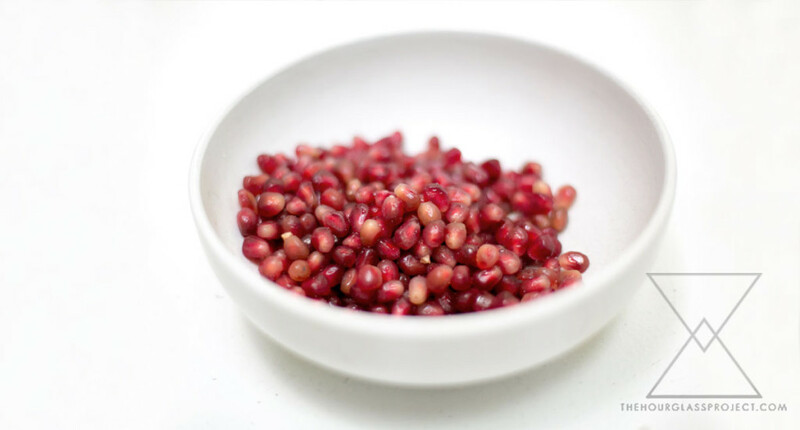 Now I’ve had pomegranate in one form or the other – typically mixed into some sort of salad or dish – and of course I’ve had pomegranate juice, but the idea of purchasing a whole pomegranate completely intimidated me. It was not a fruit I grew up eating and to be honest I wasn’t really sure what to do with it. I must have had a heightened sense of adventure one day because I decided to put one in my basket at the market, despite still not knowing how to even eat the fruit. It sat on my counter top for several days before I finally searched the internet for the answer to how to eat a pomegranate. The advice I found simple had you gently slice the skin of the fruit and cut the skin into quarters. 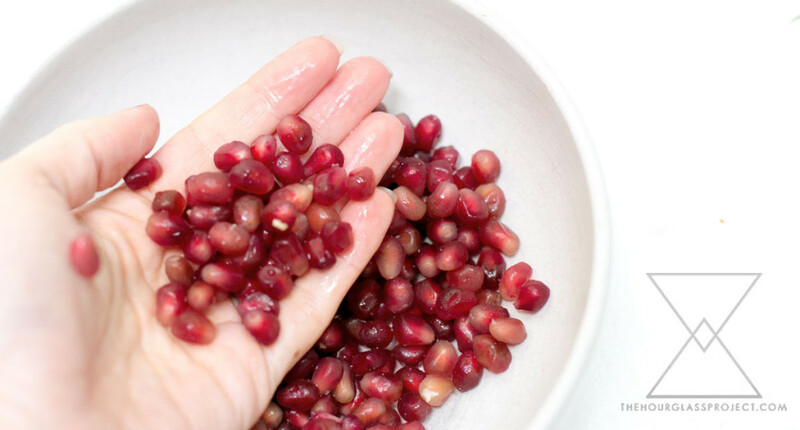 Then, submerge the fruit into a bowl of water and break open the pomegranate. 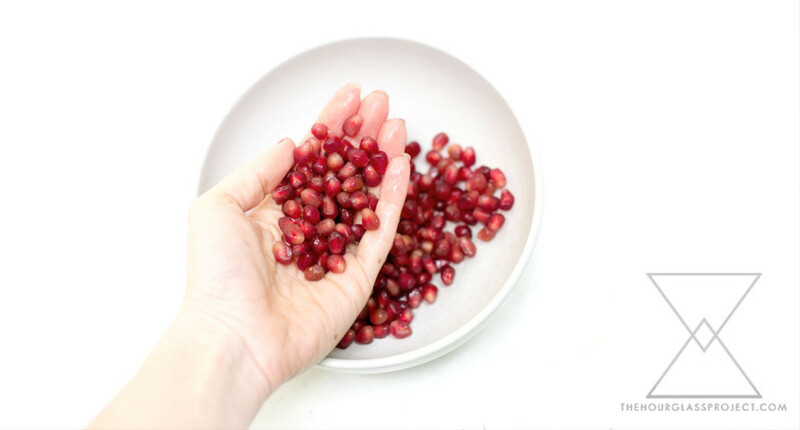 Once open, you could remove the seeds from the membranes and eventually strain the water and membranes out leaving you with this beautiful bowl of pomegranates to eat! This instantaneously became one of my favorite new foods and I started daydreaming about all the ways I could enjoy this luscious fruit. I went to the store at my next opportunity only to find that they were ALL OUT of pomegranates and that the season had ended! WHAT?!?!? My heart was broken. I had my very first encounter with this whole fruit and now, I have to wait 3 more seasons to be reunited. I guess that teaches me a lesson about being scared and not simply going for it. Needless to say – next year I won’t be making the same mistake twice and I will be loading up on this sweet and juicy fruit. And in the meantime, I will certainly enjoy the amazingly delicious fruit that the spring and summer have to bring!